Three days after New York Gov. 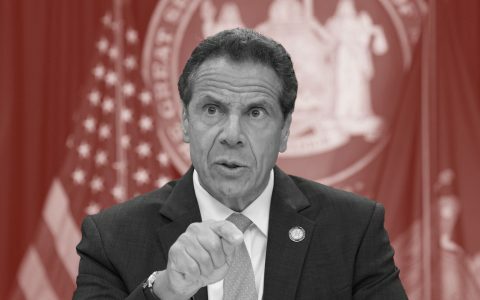 Andrew Cuomo listed cannabis legalization as a top priority for 2019, New York City Mayor Bill de Blasio announced his own official support for the end of prohibition. 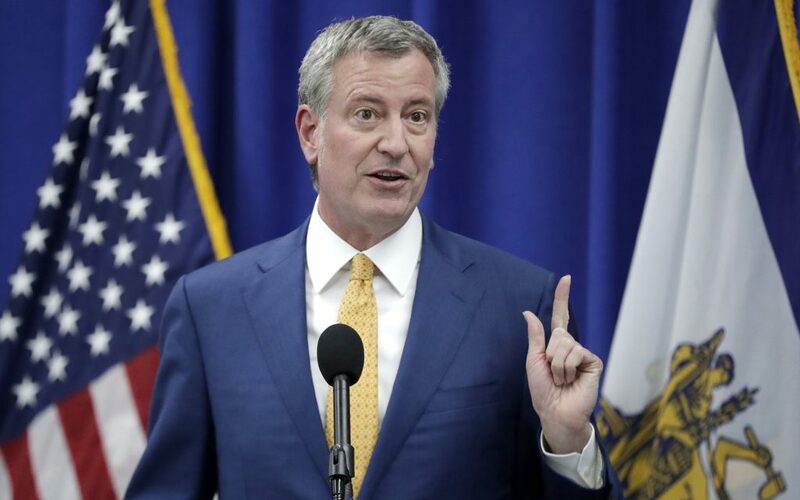 While some were expecting a tepid endorsement, de Blasio this morning came out fiery, blasting the harms of the drug war and demanding that New York craft laws and regulations that don’t merely hand over the industry to large corporate interests. The mayor also announced the formation of a task force to chart the best way for New York City to shape a fair and positive system of cannabis regulation. De Blasio was joined by New York City First Lady Chirlane Irene McCray and a panel of politicians and policy shapers at the Alianza Dominicana Cultural Center on 166th Street. New York County District Attorney Cyrus Vance, Manhattan Borough President Gale Brewer, State Senator Luis Sepúlveda, Deputy Mayor for Health and Human Services Dr. Herminia Palacio and Washington Heights and Inwood Councilmember Ydanis Rodriguez (D-10), were also part of the panel. The mayor stated that legalization is at a crossroads: Either corporate cannabis will take control, or the will of the people will win the day. The mayor then declared war on his trifecta of evil: Big Pharma, Big Tobacco, and Big Oil. “We know what happens when the corporate sector runs the show. Big Tobacco flourished as an industry after World War Two. They knew their product was deadly, but they systematically pushed them towards kids. Untold lives were lost. Big Oil has known for decades the harmful effects of climate change; but, suppressed the knowledge. Big Pharma sold opioids as safe and un-addictive and created a deadly wave of overdoses in this country,” the mayor said. People who suffered from the war on drugs, he said, must benefit economically from legalization. De Blasio’s call for automatically expungement of past low-level marijuana convictions was met with appreciative applause. He vowed to give New Yorkers a clean slate and a fair future. De Blasio credited his wife, Chirlane McCray, with pointing out to him that if corporate America dominates legal cannabis in New York, the state’s leaders will have done New Yorkers a horrible disservice. 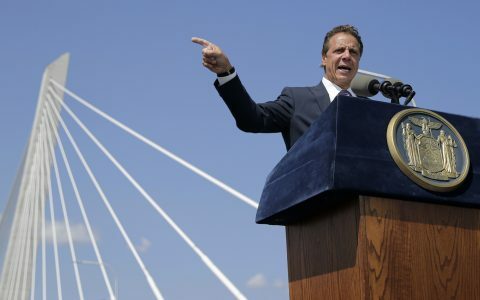 New York can’t afford to repeat the lessons of big tobacco and big pharma, he said. Manhattan Borough President Gale Brewer concurred with Vance. 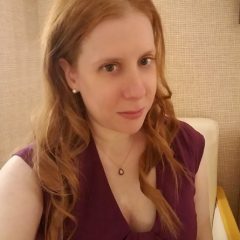 “Admiral Grace Hopper said, ‘The most dangerous words in the English language are ‘we’ve always done it this way.’” The war on drugs has not worked for decades. The of people arrested for marijuana is over 650,000. Public health concerns will be addressed. Community boards must have a say in where retail and consumption will be allowed. It is time for us to stop thinking about what we have always done and how we can lead. Brewer made a point of “thanking the activists whom we should have listened to sooner,” including New York state Sen. Liz Krueger and State Assembly member and incoming majority leader Crystal Peoples-Stokes. Bronx DA Darcel Clark said her office dismissed 160,000 warrants for quality of life crimes last year, including marijuana possession. “We have dismissed and declined to prosecute many such cases,” Clark said. She suggested providing a uniform approach to expunging cannabis convictions, out of a sense of fairness to communities of color, such as her borough, the Bronx. Who Here Has Consumed Cannabis? The senator, mayor and borough president Brewer all raised their hands, among other panelists, when asked if they had consumed cannabis in the past. The mayor insisted that cannabis is different from other drugs. He said that his father was addicted to alcohol and cigarettes, which ultimately killed him. His dad losing half a leg fighting in World War was hard enough for him to deal with; however, losing him to addiction was even harder. “It was extraordinarily painful for my family to watch. You can’t take addiction lightly. 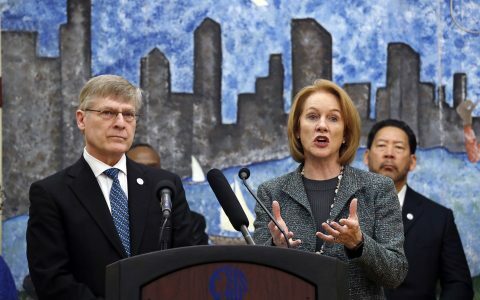 But again, marijuana is different,” said the mayor. Looking like a Great Start, keep it goin mayor.